When you go out fishing, you may want to bring bait with you. 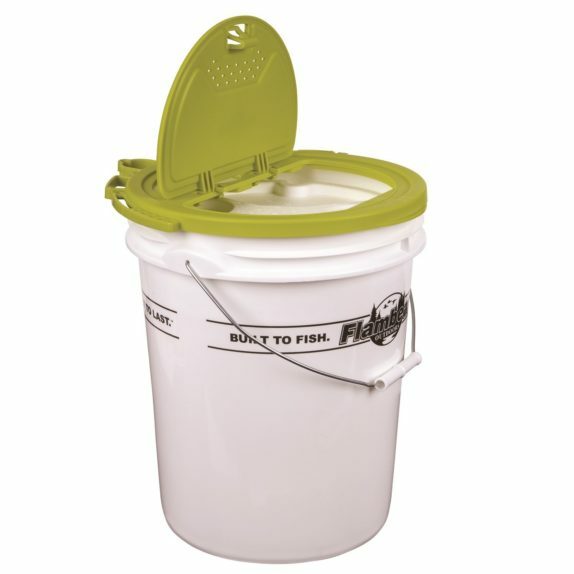 You can turn a five gallon bucket into a great effective bait container, by using a bait bucket lid. The one you see above here is great, as you can adjust it to fit onto buckets of different sizes. 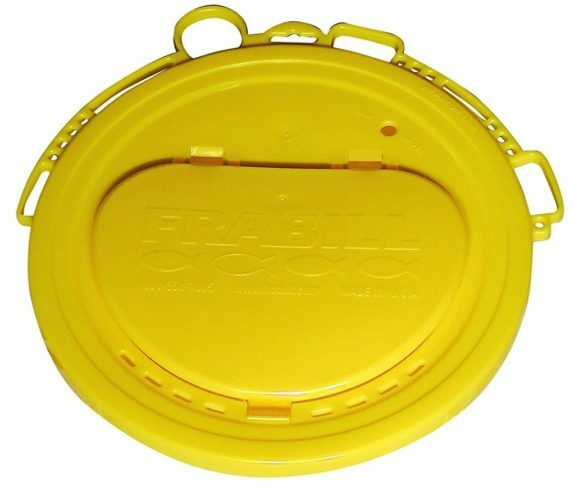 Whether you’re using a 4.25, a 5 or a 6 gallon bucket, this lid will fit on well. There are other options available too however. Depending on the conditions, you may wish to keep your bait cool for an extended period of time. The solution to this is an insulated fishing bait bucket. This one comes complete with its own bucket. 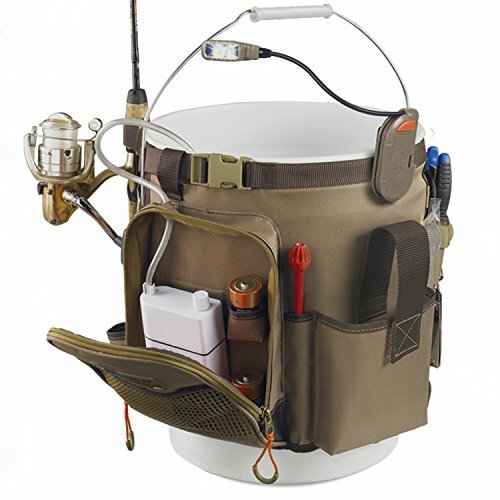 If you’re going out fishing, you might not just want a fishing bait container, but your very own fishing bucket with all your relevant equipment too. If you plan on getting your own fishing bucket, be sure to consider getting a fishing bucket organizer, to place over your five gallon bucket. These organizers are very useful to place on your five gallon bucket, as they allow you to carry your maps, licenses and other equipment visible but dry.